The Naga Peace Accord was signed between the National Socialist Council of Nagalim Isak Muivah (NSCN-IM) and the Government of India (GOI) on 3 August 2015. While terms of the Accord are shrouded in secrecy, they have indicated that there will be no modification to State boundaries, however, “cultural integration of Nagas will be facilitated through special measures and provide for the financial and administrative autonomy of the Naga-dominated areas in other states”. Recognition would thus given to the “unique history” and culture of the Nagas. NSCN(IM) alteration of their core demands, from complete sovereignty and Greater Nagalim, to acceptance of the constitutional framework with greater autonomy and NSCN(IM)’s/GOI urgency to clear the Accord, was because of NSCN(IM) leaders growing old & infirm – sadly Isaac Swu has since died; a bitter secession battle when these leaders pass away; public pressure; cadres losing faith and breaking away due to disillusionment; and the PM promising quick resolution. Unauthenticated leaks from reliable sources indicate that points agreed are – a separate Constitution?? ?, Flag for Nagaland, separate currency and passports for Nagas. Nagaland would have a UN representative; Foreign Affairs and Defence would be a joint subject and a Pan Naga Government to cover all Naga inhabited Areas. Consequently, Manipur has been in flames since the Accord. A similar proposal was made in 2011 but was rejected by Manipur. A brief historical review is essential to understand adverse reactions. What would you do if your boss ordered you to teach a sheep to fly? Because I have the luxury of tenure, I like to think I would tell him or her that the task was impossible and politely suggest they seek medical attention. But if you were one of the commanders who have overseen the U.S. military effort in Afghanistan, force of habit and professional culture would nudge you toward saying “can do” and then designing a new campaign in ovine aeronautics. Having accepted the assignment, each year you’d deliver a sober, measured, but ultimately upbeat report on the progress you’ve been making. After acknowledging that no sheep had successfully flown, you’d tell Congress, the president, and the public that several sheep had managed to jump several inches off the ground and that one particularly well-coached ewe had managed to “fall with style” when propelled off a slight incline. Even if the herd’s progress had reached a “stalemate,” you’d say that completing the assignment was still possible but that it would of course require more time, more money, and a few thousand more troops. There, in a nutshell, is the U.S. war in Afghanistan. What began in 2001 as a focused effort to topple the Taliban and rout al Qaeda has become an endless, costly, and unrealistic effort with no clearly discernible endpoint and little hope of success. Sandwiched between Iran, China, India and Afghanistan, Pakistan lives in a complicated neighborhood with a variety of security issues. One of the nine known states known to have nuclear weapons, Pakistan’s nuclear arsenal and doctrine are continually evolving to match perceived threats. A nuclear power for decades, Pakistan is now attempting to construct a nuclear triad of its own, making its nuclear arsenal resilient and capable of devastating retaliatory strikes. The program became a higher priority after the country’s 1971 defeat at the hands of India, which caused East Pakistan to break away and become Bangladesh. Experts believe the humiliating loss of territory, much more than reports that India was pursuing nuclear weapons, accelerated the Pakistani nuclear program. India tested its first bomb, codenamed “Smiling Buddha,” in May 1974, putting the subcontinent on the road to nuclearization. Volodymyr Horbulin is one of Ukraine’s most accomplished elder statesmen. After a long and storied career as a scientist and administrator in the USSR, he took on a leading role in Ukraine’s peaceful transition to democracy once the Soviet Union collapsed. Born in 1939, his father (like so many fathers and mothers in Ukraine) suffered consecutive invasions from the USSR, Nazi Germany, and the USSR. Through it all, Mr. Horbulin remained a patriot, and a believer in European-style human rights and Western Democracy. I knew none of this when I clicked on a Facebook link shared by Olena Snihyr, a Ukrainian analyst with Ukraine’s National Institute for Strategic Studies (NISS). All I knew at the time was that NISS conducts cutting-edge analysis of Russia and hybrid war. After reading Mr. Horbulin’s thoughts, I reached out, hoping to learn more about his assessment of the conflict with Russia, and what it portends for NATO, Europe, and my own native United States, with an eye toward helping formulate a potential response to the type of invasion Ukraine has experienced continuously since 2014. The following interview was conducted by email, as Mr. Horbulin is quite old, and has been lightly edited by myself for clarity. During his campaign for office, U.S. President Donald Trump promised a plan to defeat the Islamic State. Now, his administration is taking steps to deliver on that promise. On Wednesday, the global coalition to counter the Islamic State held its first meeting since the Trump administration took power — and its first congress with representatives from all 68 members since mid-2016. U.S. Secretary of State Rex Tillerson opened the session, held at State Department headquarters in Washington, by declaring the fight against the Islamic State as the United States' chief priority in the Middle East. But notably absent from the meeting's agenda was a clear answer to arguably the most important question hanging over the campaign to oust the jihadist group from Iraq and Syria: What happens after the military operations in Mosul and Raqqa are over? By holding the meeting so early in its tenure, the Trump administration has emphasized the United States' commitment to the military effort against the Islamic State and its role as the campaign's leader. Its focus, however, ends with the battlefield. In Iraq, the fight to retake the city of Mosul is nearing its final stages after months of grueling battle. A diverse array of Iraqi forces have made steady gains in the campaign to clear thousands of Islamic State militants from their stronghold, backed by coalition advisory, artillery and air support. Once the city itself has been reclaimed in the next few months, offensives on the jihadist group's remaining pockets in Nineveh and Kirkuk provinces will begin. 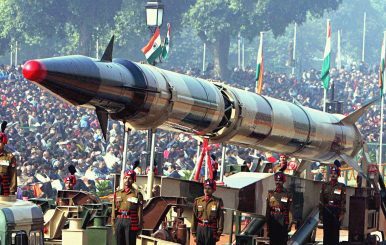 Is India thinking about moving away from its declaratory nuclear doctrine since 2003, in which it states it would not be the first to use nuclear weapons in a conflict? I poured cold water on the idea that India would change its doctrine before in these pages (specifically in 2014, when the Bharatiya Janata Party’s election manifesto spurred some interest in the topic). And it’s true that the answer to the above question hasn’t changed today, despite more recent cause for concern, such as former Indian Defense Minister Manohar Parrikar’s comments — in his “personal view” — that perhaps India should consider first use. Simply put, there is no evidence that India is about to imminently or even over the next few years actually change its stated doctrine. In the event of a rapidly escalating conflict with the Russians, should the United States conduct a “limited” nuclear strike to coerce the enemy to back down? 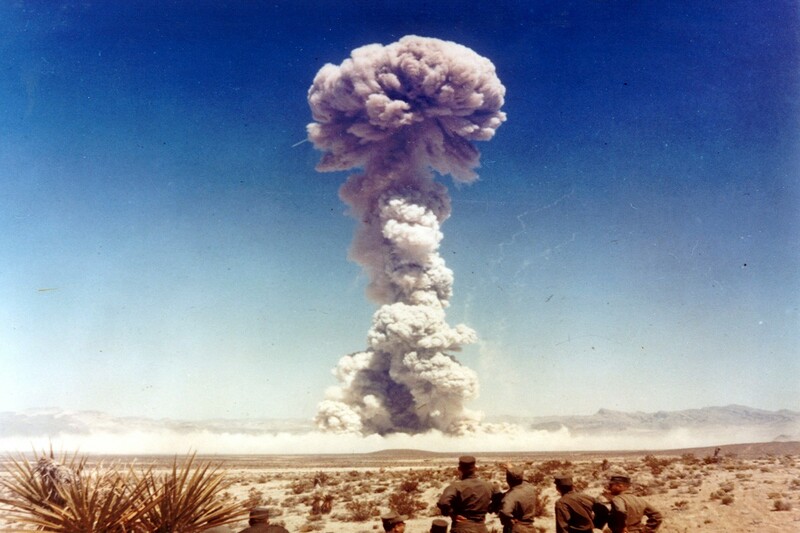 Or, in Cold War nukespeak, should the United States “escalate to deescalate” the situation? Believe it or not, that is a real question that is being debated in the Pentagon today. And the answer is no. Thinking we can use nuclear weapons in a “limited” way without inviting nuclear catastrophe is a dangerous fantasy. Here is the hypothetical scenario. Russia decides to annex part, or all of, NATO ally Latvia, much like it did with the Crimean Peninsula. 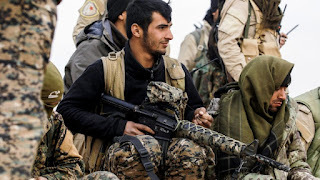 Russian forces cross the border, and NATO is forced to respond with a mixed force of U.S. Army brigades, U.S. Marines, air wings, special forces and allied personnel. All of the sudden, a full-fledged war is threatening to engulf Northern Europe. Fearing that the fighting will spill over into the rest of Europe, or even break out in Poland or the Ukraine, the United States launches a “tactical” nuclear strike against Russian forces on the border of Latvia. Why is it that a string of intelligent men who have been defence ministers have not and probably will not act to set up a unified military command despite differences in ideology and work culture? When the Centre for Joint Warfare Studies (CENJOWS) was set up in 2007, its mission was to "Rise above sectoral and departmental legacies, and examine joint warfare and synergy issues in their entirety". Yet, it would seem that the recommendations for reforming and restructuring the higher security management of the country coming out of CENJOWS do not fulfil any of the missions it was tasked with. This begs the question, how is a government meant to act on advice that is blatantly promoting sectional interests under the guise of jointness? Indeed should we be criticising ministers and bureaucrats for "ignoring military advice" or thanking them for turning a deaf ear to obviously bad advice? Ultimately we need to sit down and ask ourselves why is it that a string of intelligent men who have been defence ministers like A K Antony, Manohar Parrikar and now Arun Jaitley, have not and probably will not act to set up a unified military command despite differences in ideology and work culture. The latest paper from CENJOWS titled "Reforming and Restructuring: Higher Defence Organisation of India" is a stock standard example of why our bureaucrats and politicians do not and should not take military advice. There are of course the usual rants about how financial advisors become financial controllers and deal blockers, without even an iota of introspection into why the blocking takes place. While the details of India’s Cold Start Doctrine (CSD) have been kept ambiguous, its existence has been the worst-kept secret since its inception in 2004. The term “cold start” is of colloquial origin and was not used in the 2004 publication Indian Army Doctrine, with the Army itself preferring the term “Pro-Active Doctrine.” Hence, until this January, when the new Chief of Army Staff General Bipin Rawat called the doctrine by its better known name, its existence was unconfirmed. With the naming ceremony coming to an end, it is perhaps time to move on to the larger question of how Pakistan has responded to CSD, about which there has been precious little debate in the public forum in India. Slowly but surely, Pakistan has devised a conventional response to CSD, even as India’s myopic threat assessment remains focused on the nuclear developments. The genesis of CSD lies in the squandered hope for peace that overt nuclearization in the subcontinent had ignited. Despite India and Pakistan testing nuclear weapons in 1998, the Kargil War in 1999 and the attack on the Indian parliament in 2001 showed that nuclear weapons could not stabilize the region — quite the contrary. 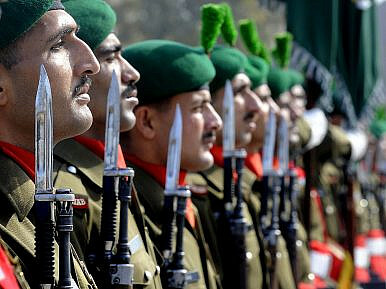 In the wake of the attack on the parliament, India launched Operation Parakram, which entailed military mobilization along the Line of Control (LOC) and the International Border. However, the operation could not achieve its objective as it took a month for Indian troops to mobilize, by which time Pakistan had counter-mobilized and international pressure had built to de-escalate. Learning its lesson, the Indian military changed its doctrine from a defensive one to a more offensive posture by adopting the Cold Start Doctrine, with the objective of finding space for a limited conventional war under the nuclear umbrella. By bringing about structural and organizational changes in line with CSD, Indian army planned to mount an attack within a short time frame in case of grave provocation. While the United States is preoccupied by the threat of nuclear weapons in the hands of potential adversaries such as Russia, China or North Korea, the danger of nuclear conflict may actually be greatest between two of its allies, Pakistan and India. The two nations have engaged in four wars starting since their partition along religious lines in 1947. A fifth could be drastically more costly, as their nuclear capabilities continue to grow and diversify. Several years ago I made the acquaintance of a Pakistani nuclear science student in China. Curious about the thinking behind his country’s nuclear program, I asked if he really believed there was a possibility that India would invade Pakistan. “There’s still a lot of old-school thinkers in the Congress Party that believe India and Pakistan should be united,” he told me. I doubt there are many observers outside of Pakistan who believe India is plotting to invade and occupy the Muslim state, but a feeling of existential enmity persists. The third conflict between the two countries in 1971 established India’s superiority in conventional warfare—not unexpectedly, as India has several times Pakistan’s population. This critical theory text explores the political and economic factors that have shaped post-9/11 Afghanistan. While performing this task, the volume 1) rejects the applicability of Huntington’s Clash of Civilizations thesis to the endemic violence in the country, and 2) outlines a “post-Islamic humanist discourse” which might pave the way for peace in Afghanistan, while also freeing Islam from the "unjustified denigration" it has experienced throughout the world. On March 28, China’s military carried out drills along its border with Myanmar in what state media described as a demonstration of Beijing’s resolve to protect its people amid growing instability. 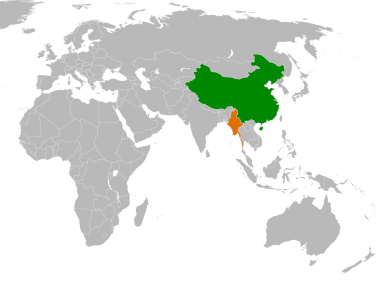 As I’ve written previously, the China-Myanmar border is a sensitive issue for both countries. China desires stability along the 2,200 kilometer border, which is both frequently plagued by conflict, drugs, and disease and also hosts the border trade that is important to southwestern Yunnan province and Chinese nationals in Myanmar (See: “China’s Strategic Recalibration in Myanmar”). But conflict between the Myanmar government and ethnic militias in northern Myanmar often spills over into China, leading to strong rebukes from Beijing. China has also not been shy about leveraging its links with some ethnic groups and exerting its influence over an ongoing peace process in Myanmar. In recent months, fighting in Myanmar once again pushed thousands of people across the border into China. In response, China has publicly expressed its expectation that all parties exercise restraint and move toward a ceasefire to ensure peace and stability in the border. Earlier this month, the Chinese foreign ministry said Beijing had settled and offered assistance to over 20,000 border area residents who had fled Myanmar. Talks have also been held by the foreign and defense ministries at various levels in recent months. HONG KONG — When the United States Air Force wanted help making military robots more perceptive, it turned to a Boston-based artificial intelligence start-up called Neurala. But when Neurala needed money, it got little response from the American military. So Neurala turned to China, landing an undisclosed sum from an investment firm backed by a state-run Chinese company. Chinese firms have become significant investors in American start-ups working on cutting-edge technologies with potential military applications. The start-ups include companies that make rocket engines for spacecraft, sensors for autonomous navy ships, and printers that make flexible screens that could be used in fighter-plane cockpits. Many of the Chinese firms are owned by state-owned companies or have connections to Chinese leaders. The deals are ringing alarm bells in Washington. According to a new white paper commissioned by the Department of Defense, Beijing is encouraging Chinese companies with close government ties to invest in American start-ups specializing in critical technologies like artificial intelligence and robots to advance China’s military capacity as well as its economy. What's the Big Deal About These US-South Korea Military Exercises? South Korea and the United States stage large-scale military exercises every March. Tens of thousands of U.S. troops and hundreds of thousands of their Korean counterparts participate. The exercises are gargantuan, costly, and they temporarily escalate tensions on an already volatile peninsula. They are also operationally necessary, and they further the United States’ strategic goals in the region despite the drawbacks I just mentioned. Long-term U.S. strategy for East Asia requires that South Korea eventually take “operational control” of its own security during any future Korean War. Unfortunately, the South Korean military is still not ready for this responsibility; these annual exercises are substantial steps towards that readiness. The United States could decisively defeat the Democratic People’s Republic of Korea in a military conflict. This is not really in dispute amongst military analysts. However, it behooves the United States to structure its forward deployed forces and foreign alliances such that it has to spend as little resources as possible on securing this goal. The highest priority interest on the peninsula is preventing a nuclear war and deterring the DPRK from attempting to forcefully reunify Korea. Currently, this requires a substantial U.S. military presence in South Korea and Japan — but, of course, the less effort the United States needs to expend to secure its strategic interests, the better. The annual ROK-U.S. military exercises make South Korea a stronger ally and increase both militaries’ ability to succeed together at lower cost, with less risk. It’s not non-Western. It’s anti-Western. It was a careful choice of words, Bernard Lewis being nothing if not careful. In 2004, the West audibly gasped when its preeminent scholar of Islam famously told the German newspaper Die Welt,“Europe will be Islamic by the end of the century,” if not sooner. We are not talking about Muslims here. We are talking about Islam. Lots of individual Muslims desire peaceful coexistence, even assimilation. But Islam’s aim is to prevail. So, yet again this week, Lewis’s foreboding has been brought to the fore by a jihadist mass-murder attack, this time in London. As we go to press, five innocent people are dead after Khalid Masood, a terrorist acting on unambiguous scriptural commands to war against non-Muslims, rammed his rental Hyundai SUV into dozens of pedestrians on Westminster Bridge, many of them tourists taking in the iconic views of Parliament. About 50 people suffered injuries, some of them grave, so the death toll may yet rise. Is Russia Building a Nuclear-Powered Supercarrier? The Krylovsky State Research Center (KRSC), a Russian shipbuilding research and development institute, has been pushing Russia’s Ministry of Defense (MoD) to sign off on its concept of a new nuclear-powered supercarrier, dubbed Project 23000E Shtorm (Storm), according to various Russian media reports. Based on independent estimates the carrier could take seven to ten years to build and cost as much as $9 billion. The ship’s design was first revealed in May 2015. Based on information supplied by KRSC, the new supercarrier will displace 90,000-100,000 tons, and will be 330 meters long, 40 meters wide, and will have a draft of 11 meters. The ship will be allegedly be powered by either conventional or a nuclear propulsion and can stay at sea for 90-120 days. The Shtorm carriers can reach top speeds of up to 30 knots (around 55 kilometers per hour) and accommodate a crew of up to 5,000. Furthermore, the ship would be able to carry 80-90 deck-based aircraft. “The vessel will be able to carry a stock of jet fuel of up to 6,000 tons (…). 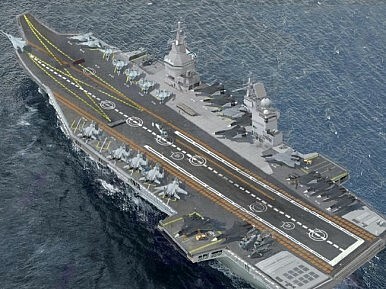 Storm Project aircraft carrier will be able to carry up to 90 aircraft and helicopters. The main power plant of the ship will operate on organic fuel,” a KRSC representative told Russian media on March 20. MARCH 24, 2017 —This fall, a few weeks after Donald Trump won the election, news surfaced on Russian websites that the newly elected president lashed out at the leaders of Latvia, Lithuania, and Estonia, telling them to "shut up" and slammed down the telephone in outrage. An online Russian news portal 4esnok that initially published the story cited a CNN interview about the phone call with President Trump's counselor Kellyanne Conway, but links within the article to the original source revealed nothing about the irate exchange. The phone call never even happened. A day after the story surfaced, an Estonian blog called Propastop.org determined the story was bogus. However, it had already appeared on at least nine other online news outlets. That's just one example of the type of bogus news originating from within Russia and spreading throughout Eastern Europe. While those sorts of phony news stories became a staple of the recent US presidential race, in a propaganda campaign the US intelligence community says the Kremlin carried out to support President Trump, countries such as Estonia have long felt the powerful influence of Russian disinformation. "Media is a weapons system" for the Russian government, says Maj. Uku Arold, who teaches a course called "Subversive Leverage and Psychological Defense" to master's degree students at the Estonian Academy of Security Sciences preparing for positions in the Estonian Internal Security Service. On March 21, 2013, in a conference hosted by the Carnegie Endowment for International Peace, LTG H.R. McMaster stated that there are four main continuities in war and warfare: 1. War is an extension of politics, 2. War is a profoundly human endeavor, 3. War is uncertain, and 4. War is a contest of wills. [i] These thoughts reflect those established by Clausewitz in the early 19th century and continue to reverberate throughout the US Army’s development of doctrine and capabilities. Although it is fair to say that war will continue to be a human endeavor, history has shown that the instruments used to carry out this “contest of wills” can drastically change. This paper presents a vision of future warfare by extrapolating technological trends and uniting them under an operational concept that, when followed, allows the US to remain the sole dominant military force in 2030-2050. The first slide of a PowerPoint presentation is shown as Dr. Jacob A. Mauslein prepares to speak about the growing threat of cyber attacks. Dr. Jacob A. Mauslein waves his hand during his lecture about the growing threat of cyber attacks. Mauslein is explaining how wars used to be fought to give background on his lecture. With the Internet becoming more advanced by the day, the question of how cyber attacks will change and what their repercussions could be remains unanswered. Political science professor Jacob Mauslein spoke on campus Tuesday evening about the possible “digital doomsday” the human race faces and the growing threat of cyber attacks. Growing up, Mauslein said he would fix computers for people in his small hometown. While doing this, he noticed almost every computer had some type of virus on it and became curious to know more. This ultimately led to Mauslein’s expansive education and knowledge on cyber attacks. From the beginning, humans have found a way to make war in different forms, such as land, sea, air, space and now cyberspace, Mauslein said. 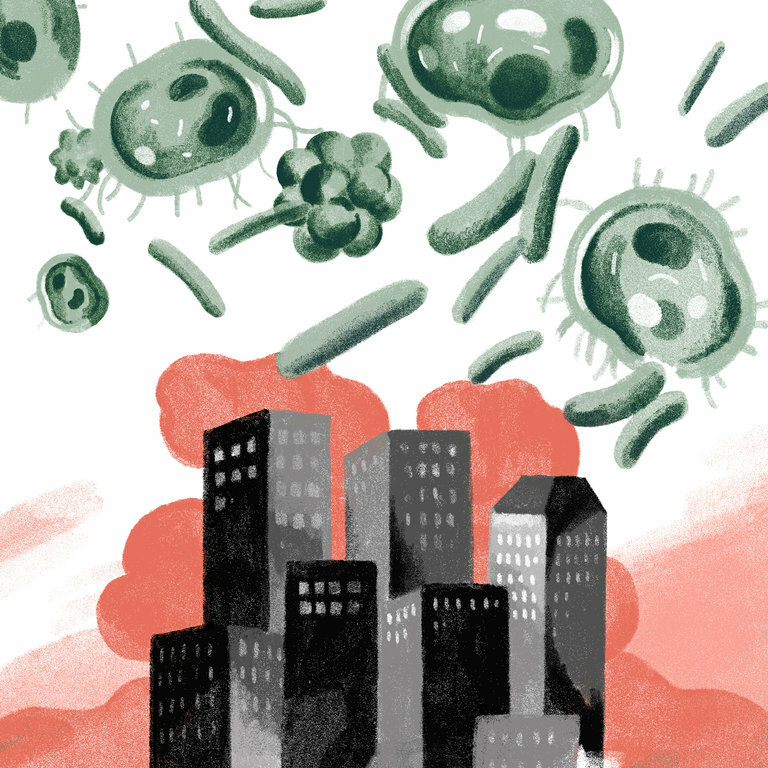 “Every time mankind enters a new realm of being or a new realm of exploration, we weaponize,” he said. We are living in a more complex world, with more state and non-state actors demanding more of our attention. When we actively contributed to the defeat of the Soviet Union in Afghanistan, the success of the Solidarity Movement in Poland, and the eventual demise of the Soviet Union in 1991 after the Baltic States and the eleven Soviet Republics declared independence, we thought the Soviet Union was a spent power, requiring minimal attention. When we decisively defeated Iraq during the first Gulf War in 1990, after they invaded and occupied Kuwait, we thought a defeated Saddam would behave. When we signed the Agreed Framework with North Korea in 1994, agreeing to build two civilian Light Water Reactors and while under construction provide heavy fuel oil as payment for the freezing of North Korea’s nuclear program, we though Kim Jong-il would comply and behave. These developments in the early 1990s contributed to a view that the need for foreign intelligence was less important; that savings could be had by spending less money on intelligence collection and analysis, given that our principal enemies were no longer a threat. We now know that our euphoria was misplaced; that these successes were temporary and that these state actors persisted with their bad behavior. We also know that other state and non-state actors now require more of our attention, given their territorial and ideological ambitions. Download PDF file of "Implications of Ultra-Low-Cost Access to Space"
Since the advent of the space age, a primary constraint on military, commercial, and civil space missions has been the cost of launch. Launching objects into space requires substantial investments in launch systems and infrastructure, which has restricted the market to only a handful of national governments and several large private companies. This study explores the possibility of a space industry significantly less constrained by the cost of access to space. Have you ever received an email prompting you to click on an external link? Did the link take you to the login page of a certain website? If this has happened to you, then you may have been a target of a phishing attack. A phishing attack refers to a hacking tactic wherein a perpetrator masquerades as a trustworthy entity in order to trick potential victims into giving away sensitive information such as usernames, passwords, credit card numbers and banking credentials. This type of phishing attack, as the name suggests, uses social engineering as its primary attack vector. Usually, there are two components involved: a scam email and a spoof website. The email, which is designed to appear is if it was sent by a legitimate source, is used to direct the victim to the spoof website, which is a page that looks like a real website but is actually an imitation site created for the purpose of collective sensitive information from victims. Once the credentials are entered, they are automatically sent to the perpetrators.